At Advanced Tree Pros we do more than just trim and remove your trees. Tree removal, crane services, tree recycling, and land clearing are only a few of the services Orlando Tree Service offers. If you are planning to build a new single-family home, or your business has a new construction development plan in the works, Advanced Tree Pros has the equipment and tools to take care of the land clearing for you. Do you have trees, thick underbrush, limbs or stumps on your property that are making it hard to get through or complete a landscaping project? No problem, we offer affordable land clearing service to remove the burden of thick underbrush and other materials so you can get your life back and property back to normal. Don’t waste countless hours trying to clear it out yourself, hire the professionals at Advance Tree Pros. Our land clearing services bring you piece-of-mind and a hassle-free chance to develop your home or business. We provide the most skillful and careful land clearing services in the Florida area from Orlando to Tallahassee and Daytona to Tampa. When you need property cleared for your project or home, come to us. We have services available to meet your needs which include grapple truck service, crane service, land clearing, tree removal, and tree trimming services. When your property is covered in the underbrush and other materials, you may feel like you’re dealing with an impossible problem. It’s true that jobs like this are difficult for the average person to handle and tackle on their own. 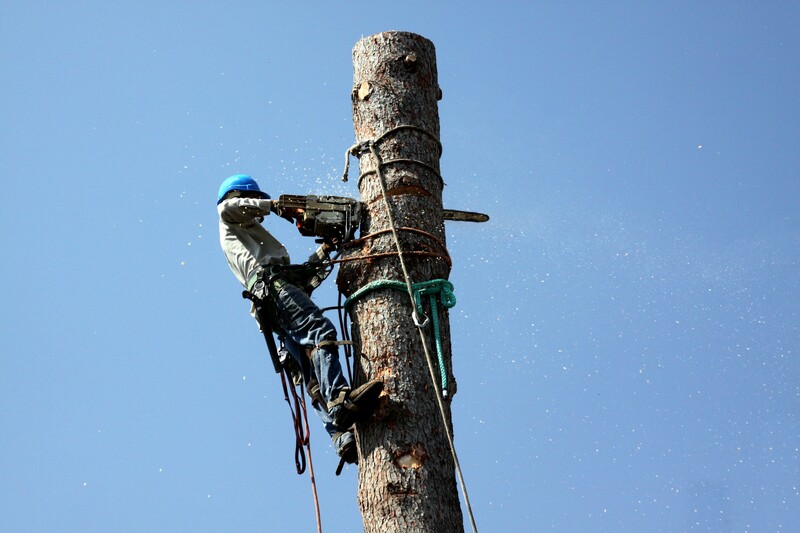 Choosing Orlando Tree Service provides you with gracious customer service from start to finish, and we don’t stop until the job is done right and you are satisfied with the finished product. What is Land Clearing and How Does It Make Landscaping Easier? Land clearing is the removal of trees and other vegetation from a site to prepare it for development. Land clearing includes tree removal and the clearing of shrubs, stumps, tree limbs, and other vegetation. Many people look into tree removal and land clearing in the Florida areas of Orlando and Tampa because they are building new homes or working on other construction projects. Did you know thick trees, shrubs, heavy brush, and other vegetation make it difficult to complete landscaping work? Overgrowth can make things challenging especially if you are working on a sizable project, such as adding a staircase, walkway, garage or other artistic touches that are unimaginable with the amount of vegetation, brush, and tree limbs on your property. We have the knowledge, skills, experience, and equipment to clear brush from your property and remove trees and limbs so you can get to work on your project with no delays. Any homeowner knows it takes hard work to keep your yard looking beautiful. You must continuously mow it, fertilize, and remove any unnecessary weeds. However, many of us lack the time, knowledge, and proper skills to remove shrubs, brush, limbs, and other vegetation from our property. If you reside in the Florida areas of Orlando, Tampa or Daytona, Advance Tree Pros can help you with tree removal and land clearing services. 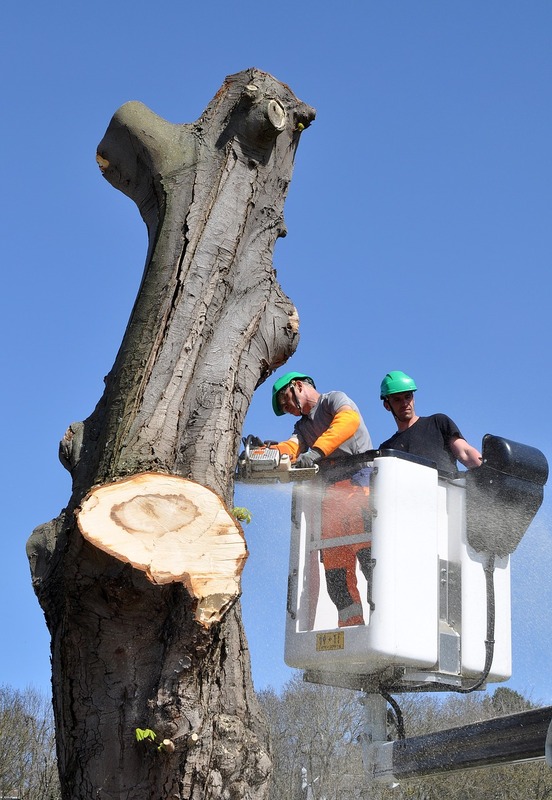 We have certified arborists, high-tech equipment, and years of experience in performing many types of service from land clearing to tree trimming to tree removal and grapple truck services. While other companies will charge you an exorbitant amount for land clearing or other yard work, we have special offers that beat our competitors’ prices. If you are in need of any of our services for land clearing, tree removal or tree trimming we are currently offering a limited time discount on hiring our crew for a day. Our knowledgeable and skillful crew will bring high-tech equipment and award-winning customer service to work on your property for 8 hours or more to complete tree removal, yard cleanup, and land clearing. Additionally, we will haul away and recycle all debris and vegetation, and we never charge any hidden fees or additional costs above our initial price quote.